Finn Peterson shoots Hole-In-One on May 17th, 2018! 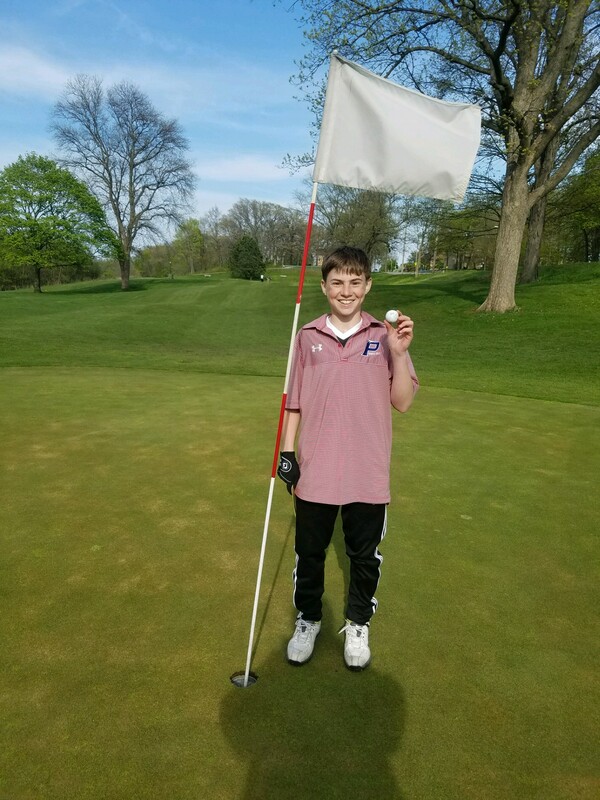 Finn Peterson (2021) shot his first Hole-In-One on the 8th hole at the JV Boys’ Golf dual at Washington Park in Racine. 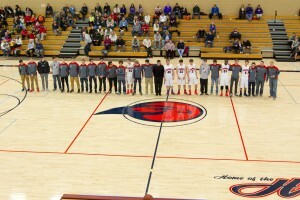 Photo by Coach Carrie Massey. Juan Perez JT Player Of The Year, plus Liu, Lamberton and Ruud 1st Team! Nich Schafer was named Wisconsin High School Tennis Coaches D2 “Coach of the Year! 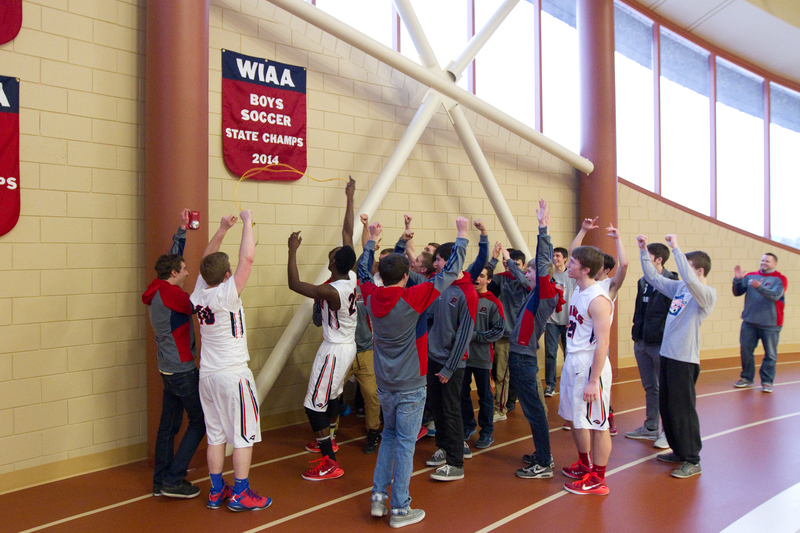 The Prairie School Athletic Program Ranks 7th in Journal Sentinel Schools of the Year! Nich Schafer Named Milwaukee All Area Coach of the Year! 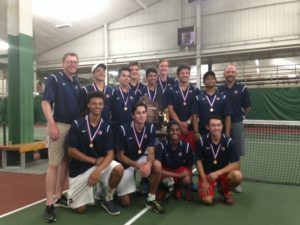 Boys’ Tennis Team WINS STATE! 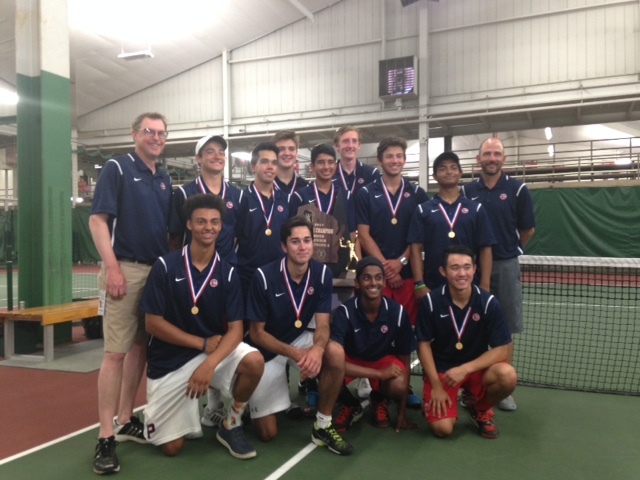 Boys’ Tennis Team Sectional Champs, team advances to STATE! Logan Ketterer, class of 2011, was drafted by the Columbus Crew of the MLS. Girls’ Golf Team Dominates All County Teams! Girls’ Golf Wins Back To Back State Championships! Girls’ Golf Journal Times Team Of The Week! Hats Off To Coach Swanson! Congratulations to Juan Perez, Racine County Player of the Year. Hannah Compernolle Named Athlete Of The Week! Congratulations to Hannah on being named the PlayInTheDells.com Athlete of the Week! 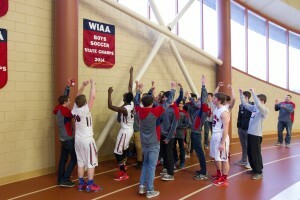 Here’s the link in case you missed it: http://www.wissports.net/news_article/show/642681?referrer_id=519407 Thanks to everyone that voted! Congratulations to John Mark Goeke and Abby Polzin for being named this year’s WIAA Scholar Athletes. Sammie Woodward Earns All-State Honors! JC Butler Named JS Player Of The Week! Sammie Woodward Makes Her Mark At Prairie! Taylor Goelz and John Mark Goeke Named Racine County Scholar Athletes! Seniors, Taylor Goelz and John Mark Goeke were recognized for the academic, athletic, and leadership in athletics at the Racine Hall of Fame Banquet on, Thursday, October 22, 2016. 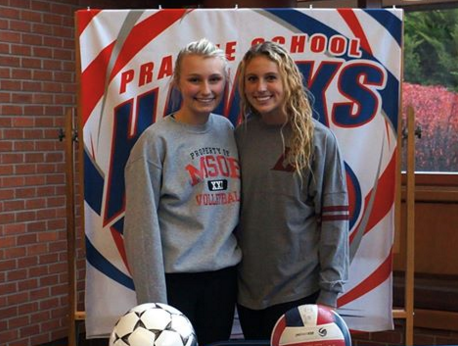 Kylie Kamm and Sarah Johnson sign with MSOE Volleyball and UW-La Crosse Soccer. John Mark Goeke And Abby Polzin Named 1st Team All County! Gould/Mettraux/ Girls’ Tennis County Players Of The Year! Placing 3rd at this year’s WIAA State Tournament at number 1 doubles helped earn Grace Gould and Emilie Mettraux the Journal Times Racine County Players of the Year. 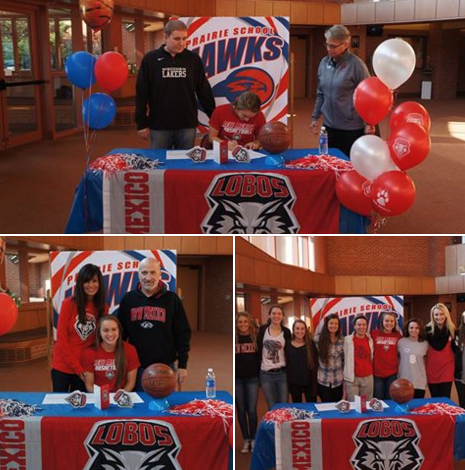 Sammie Woodward signs with The University of New Mexico Lobos! Girls’ Golf Wins State By 6 Strokes! Girls” Doubles Advance To State! Emilie Mettraux and Grace Gould finished 3rd at Division 2 State at #1 Doubles after advancing to the semi-finals. The #1 Doubles Team of Emilie Mettraux and Grace Gould finished second at the Whitewater Sectional to advance to the Individual Girls’ Tennis State Championship in Madison on October 15-17th. Girls’ Golf Makes 6th Straight Trip To State! Lead by Olivia Scumaci’s 84, the Hawks will make their 6th straight trip to the State Tournament October 12th and 13th at University Ridge in Madison. Coach Massey and the Hawks: Kate Munro, Rachel Gentile, Julia Michicich, Olivia Scumaci, and Steph Kaser won the Division 2 Regional Championship at the Broadlands! Zach Owsley provided the assist and one goal to help the Hawks defeat Homestead on Saturday, September 26th, 2-1. Lead by Conference Champs #1 Doubles, Emilie Mettraux and Grace Gould, the Hawks finished 2nd at #2 & 3 Singles and #2 & 3 Doubles to finish 2nd in the Metro Classic Girls’ Tournament. Ortiz Points U.S. Women To Gold! Gabbi Ortiz played seven games at point guard to lead the U.S. Women to win the FIBA U19 Women’s World Championship gamed in Russia! Prairie Boys’ Soccer On WIAA Record Books! The Wisconsin Soccer Coaches Association has named Olivia Karegeannes one of 69 players in the state as the “Best of the Rest.” Olivia named Metro Classic Conference Player of the Year will be attending U.W. LaCrosse in the fall. Oklahoma sophomore-to-be Gabbi Ortiz earned one of 12 spots on the 2015 USA Women’s U19 World Championship Team. Boys’ Tennis Sweeps County Tourney! Girls’ Soccer Wins 2nd County! Gabbi Ortiz Named Big 12 Freshman Of The Year! It was announced today that our own Prairie Alum Gabbi Ortiz was named the Freshman of the Year or the Big 12 Conference. Bobby Gaertig was named the Journal Times County Player of the Year for Boys’ Soccer. Joining him on the All County 1st Team were teammates Owen Veranth, CJ Thompson, All County Goalkeeper: Trey Eckert. Jack Gentile was named to the 2nd Team. Bobby Gaertig was also named 2nd Team All-Southeast by the Sentinel. Chrissy Craig and Rachel Gentile were named 1st Team All Racine County. Olivia Scumaci and Danelle Palmen were named 2nd Team. Chrissy Craig and Rachel Gentile were also named 1st Team All-State Academic and Olivia Scumaci and Danelle Palmen to the 2nd Team by the WSGCA. Swanson Named WTCA Division 2 Coach Of The Year! The Wisconsin State Tennis Coaches Association has named Coach Harold Swanson the 2014 Division 2 Coach of the Year. Coach Swanson started the Tennis program at The Prairie School 50 years ago. Coach Swanson continues to lead his players with a “touch of class!” Coach will be honored at the WTCA Clinic at Pleasant Valley Tennis Club on November 7, 2014. The Racine County Hall of Fame recognized a female and male scholar athlete from each high school in Racine County at the Annual Hall of Fame Banquet on Thursday, October 30th at the Marriott. Annie Zlevor and Nic Grotmol were recognized for their dedication to academics, athletics, and community. Girls’ Golf Qualifies For The 5th Straight Tournament! Congratulations to Coach Carrie Massey and the Girls’ Golf Team for qualifying to the 5th straight Girls’ WIAA State Tournament. The Hawks took 2nd in the Sectional at the DePere Sectional to advance. Team members: Chrissy Craig, Rachel Gentile, Julia Michicich, Olivia Scumaci, and Danelle Palmen. The State Tournament is held Monday, October 13th and 14th at University Ridge in Madison. Logan Ketterer Named Financial Scholar-Athlete Of The Week At Bradley! Girls’ golf Wins Racine County Tournament! Lead by Sophomore, Rachel Gentile with an 82, the Girls’ Golf Team won the Racine County Tournament at Ives Grove. The Hawks finished in 1st by 8 strokes. The team members include Chrissy Craig (90), Olivia Scumaci (90), Danielle Palmen(90), and Julia Michicich (94). Congratulations Coach Massey and Girls’ Golf!! Navratil Named JT Racine County Player Of The Year! Zane Navratil has had a string of 3’s this year; Three Division 2 Individual State Championships, the only Division 2 player to win three in a row; and finally 3 Racine County Player of the Year honors. Joining Zane on the All County Team were Juan Perez and Ian Foster and Fordy Leipold. 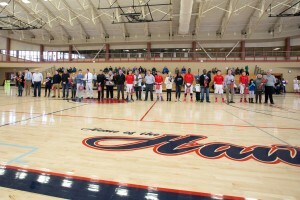 Chase Phillips and Rohan Banerjee were named to the 2nd Team and Chris Porter and Toussaint Cruise were honorable mention. WHSTC Coach of the Year: Swanni! Congratulation to Coach Harold Swanson for being named the Wisconsin High School Tennis Coaches Division 2 Coach of the Year. 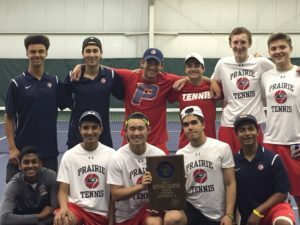 Coach Swanson’s ability to bring the game of tennis to the lives of so many at Prairie School and to encourage and develop players is legendary! Zane Navratil was named “Male Athlete of the Week for the Journal Times as he three-peated his Division 2 Singles State Championship. Interesting Note: Alumni Andrea Bukacek and Kara Metzger achieved similar status in 2000, 2001, and 2002 winning 3 straight in Division 2 Doubles! Zane Navratil made WIAA Division 2 history by winning his third tennis state championship. Zane is the only player in Division 2 tennis, since its inception, to win three consecutive titles. Congratulations Zane and Coach Harold Swanson! 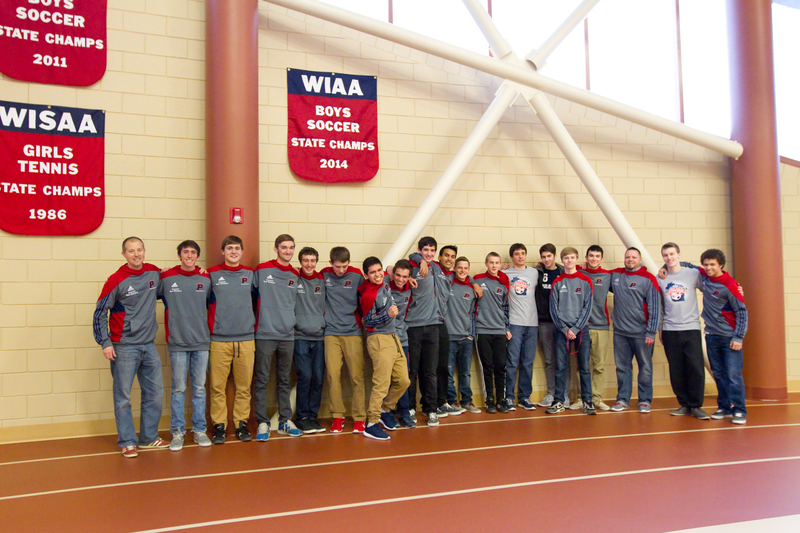 BOYS’ TENNIS NAMED JT TEAM OF THE WEEK! The Spring Season has been great for the Hawks. Under the leadership of Coach Harold Swanson, the Hawks have won the Racine County, Metro Classic, Brown Deer and most of their duo matches. Zane Navratil and Juan Perez remain undefeated. Team Members: Andrew Liu, Rohan Masker, Fordy Leipold/Ian Foster, Chase Phillips/Rohan Banerjee, and Chris Porter/Toussaint Cruise. Congrat JT Team of the Week. Congratulations to Coach Harold Swanson and the Men’s Tennis Team on winning the Metro Conference Championship on Saturday. 1st Team All Conference: Zane Navratil @ #1 Singles, Juan [email protected] #2 Singles, Andrew Liu @ #4 Singles, Chase Phillips and Rohan Banerjee at #2 Doubles, Chris Porter and Toussaint Cruise at #3 Doubles. Rohan Masker finished second at #3 Singles and Fordy Leipold and Ian Foster finished third at #1 Doubles. LP BASEBALL JOURNAL SENTINEL TEAM OF THE WEEK! 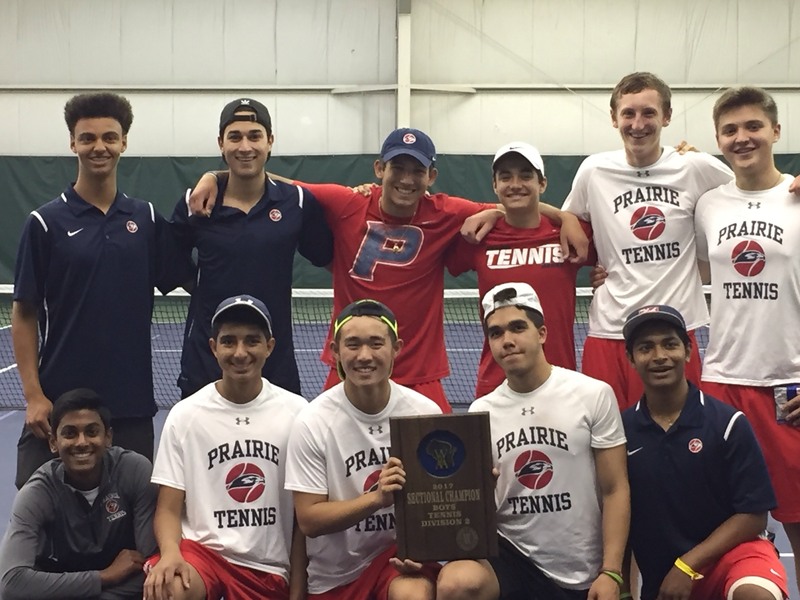 The Boys’ Tennis Team made a sweep at #1,2,3,and 4 Singles plus #1, 2, and 3 Doubles to clinch the return of the Racine County Tennis Tournament. Not since 2004 has the Girls’ Soccer Team won the County. Defeating Waterford and Burlington in the prelims, the Hawks defeated St. CAtherine’s in Penalty kicks 3-2 to win the RAcine County Championship. Boys Tennis 2017 Team State Champions! 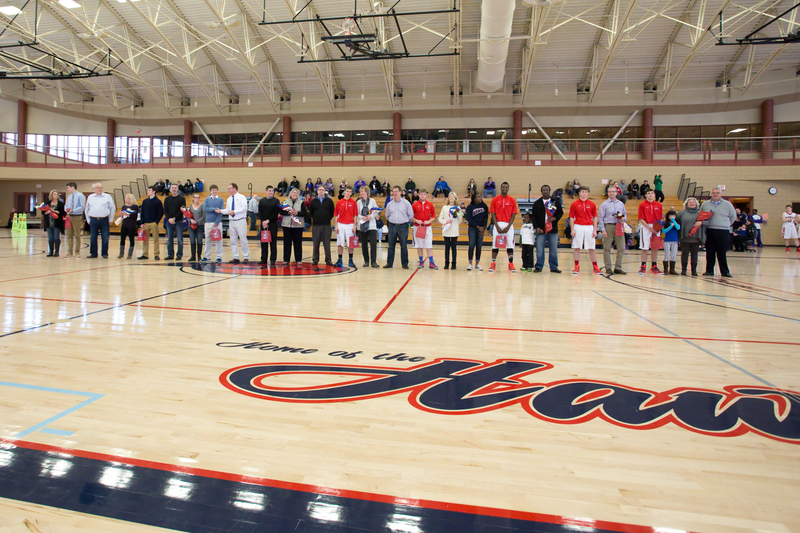 Samuel Chapman and Scott Isaacson were named GCAW Academic All-State High Honors. 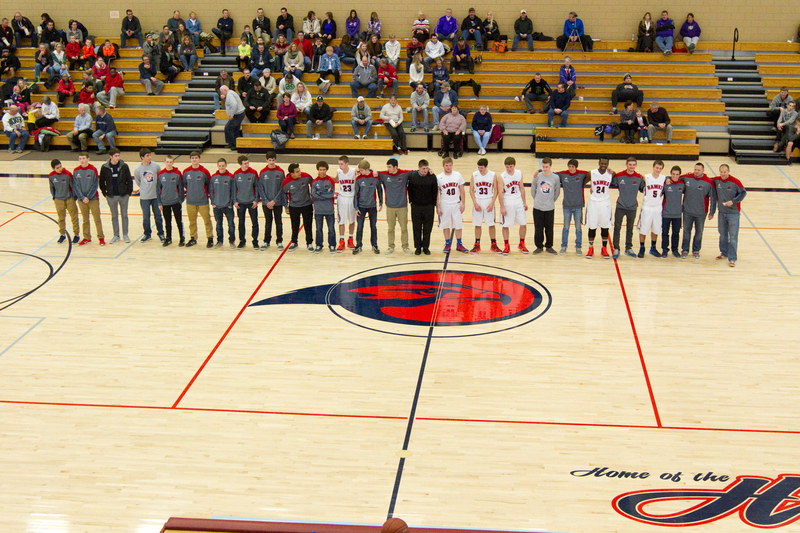 Forrest Cookman, Jake Reynolds, and Brian Eitel were name GCAW Academic All-State. Individual State Championship: Peter Lamberton/Jacob Ruud 3rd Place and Juan Perez finishes 2nd in State. Hawks Boys’ Golf Wins Metro Classic Tourney and Conference! Hawks Tennis Wins Metro Classic and County Championships! Hawks Girls’ Soccer wins Metro Classic! Samuel Chapman score a Hole in One at Whitnall Park Golf Course on Monday, April 24th. It was on the Par 3 … 3rd hole!!!! Congrats to Coach Massey, Rachel Gentile, Olivia Scumaci, Dani Palmen, Kate Munro, and Julia Michicich. 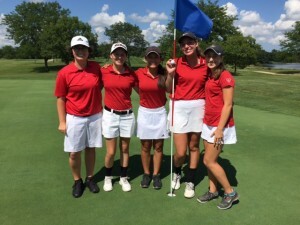 Olivia Scumaci, a senior, had a “Hole in One” on the 18th Hole at Wanaki at the Homestead Tournament, Tuesday, August 16th- 2 days later, at Brightondale at the Westosha Tourney, Olivia scored a hole in one on the 17th hole of the Blue Course!